It fits perfectly to stop for a break while on a day trip with kids. 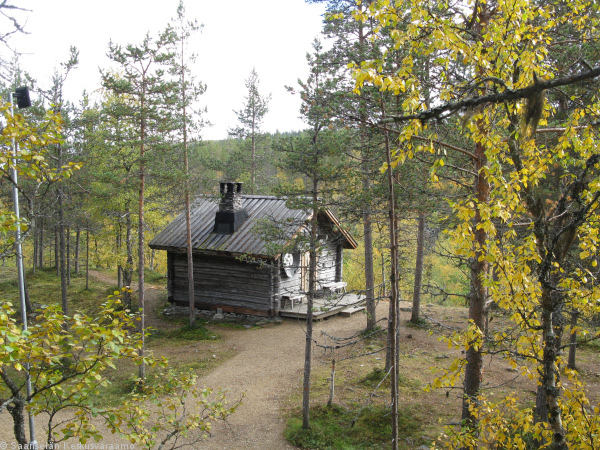 About 150 m north of the hut there is a wooden campfire shelter and a firewood shelter. Staying overnight in the hut is forbidden. There is no toilet at the hut. 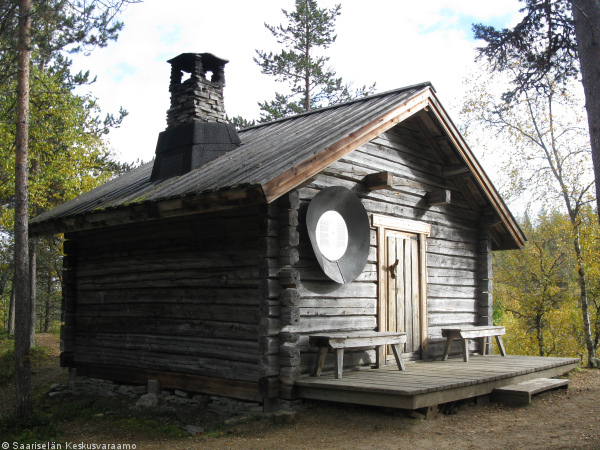 Pets are permitted in the hut, but only in case that other visitors agree with it. Each hiker is responsible for his or her own waste. There are no waste bins at the hut and hikers are asked to bring their mixed and biodegradable waste to recycling points which are located along the trails and at the trail starting and ending points. Burnable waste can be burnt in fireplaces or at campfire sites. 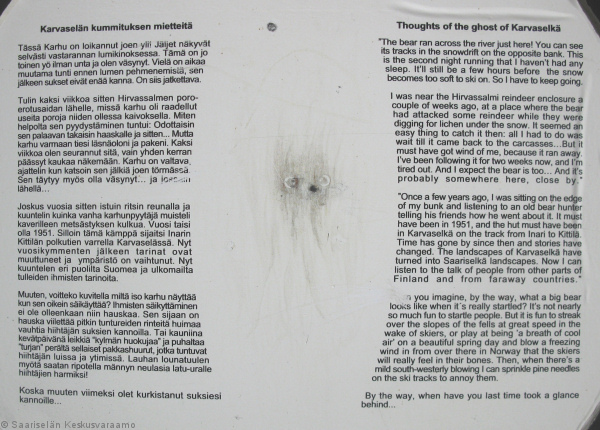 The hut was moved to its present location from near the old postal route which is now the Inari-Kittilä road.